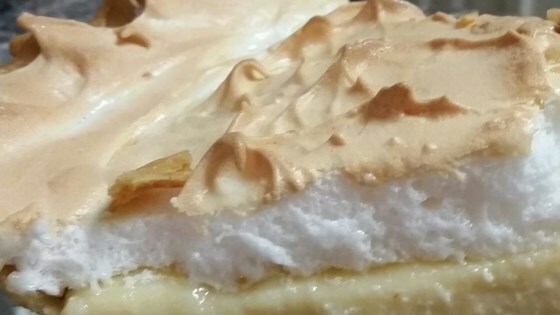 "A short and easy recipe for lemon icebox pie." Prick pie shell with a fork and bake in preheated oven for 8 minutes, or until crust is lightly browned. Remove from oven and cool. In a medium mixing bowl blend egg yolks and condensed milk. Stir in lemon juice. Heat this mixture in a double boiler, stirring constantly with a wooden spoon, until it thickens. Pour into piecrust and refrigerate at least 1 hour before serving. We all loved this one. I doubled the recipe and put it into a 13x9 graham cracker crust. Awesome & Easy. I love this recipe. It's just like the one my grandmother made when I was growing up. I also like pouring it into mini graham cracker crusts so we each have individual servings. When I made this recipe I followed it exactly like it was written. My family ate it all on thanksgiving- in ten minutes I had to make three of these just to get everyone happy.